If you’re spending a night out under the stars, there’s no reason to be uncomfortable. When you assemble your kit for your next trip, it’s important to consider the simple but ever important pieces of gear that can elevate your trip from enjoyable excursion to an adventure to remember. 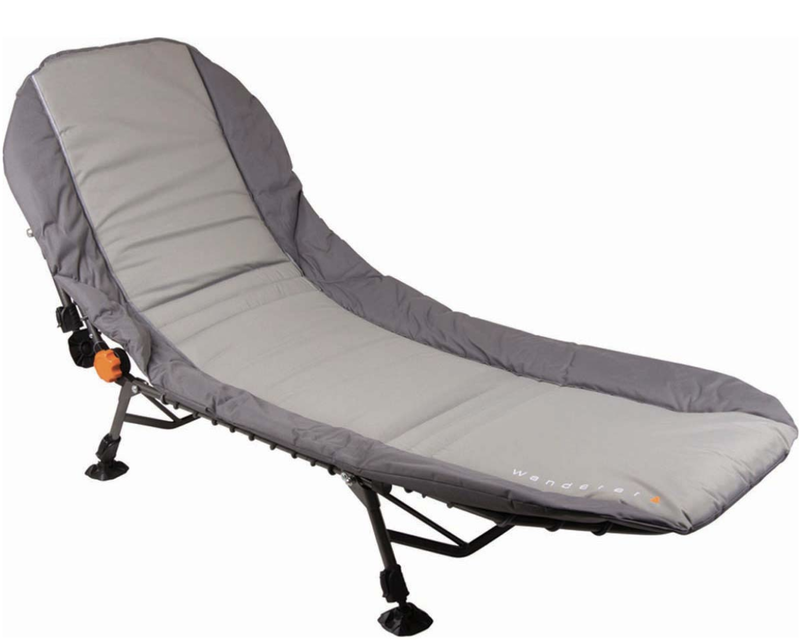 Getting a good night’s sleep is critical to fully enjoying all that the great outdoors have to offer and an easy way to guarantee night after night of deep, glorious slumber is to invest in a good quality camping stretcher. Unlike foam sleeping pads or inflatable mattresses, camping stretchers elevate you off the ground, making it easier to get in and out of and making it less likely that your night will be disturbed by any rocks, stones, or uncomfortable surfaces below. While camping stretchers are a great investment, it’s important to fully consider the different features that each stretcher has to offer so you’re sure that you’ve chosen one that’s right for your needs. After a detailed review of some of the most popular products on the market, we found that the Oztent King Goanna Stretcher Bed was our top pick because of its simple, strong, easy to assemble design and its comfort with or without a stretcher. The light-weight Wanderer Premium Camper-X Leg Stretcher, however, took our award for best value with its economical, yet thoughtful design. However, there are many other great options out there – it’s just about finding the model that’s right for you! Durability: It’s important that any stretcher you choose is durable enough to accompany you on all of your outings. Nearly all of the stretchers in this review are of the ‘cross leg’ design, which makes them quite strong and sturdy, especially for getting in and out of bed, while others are of the foldaway variety. However, some of the products have additional features that go above and beyond the average durability of a camp stretcher. Comfort: As we all know, a good night sleep is important, which is why we’ve decided to invest in a camp stretcher in the first place. 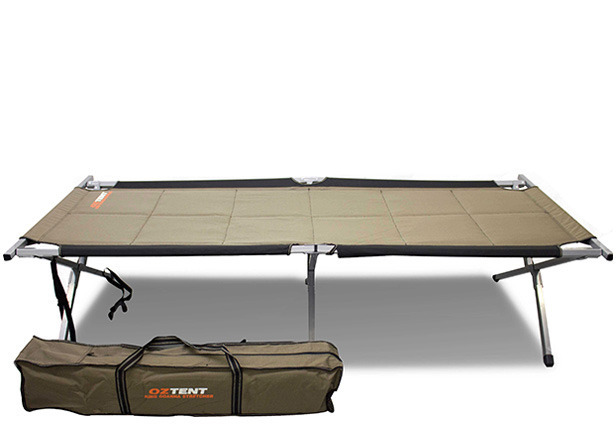 Camp stretchers come either padded or unpadded, allowing you to either customise them with an additional inflatable mattress or simply use them as is. Ease of assembly and transport: When we’re outside, we’d rather spend our time enjoying ourselves than fussing over difficult-to-assemble camp stretchers. As we mentioned, each of the products in this review is either a cross leg or foldaway stretcher, which tend to be quick to assemble; however, this ease of assembly often means that the stretcher is larger and bulkier when not in use. We’ll keep this in mind when reviewing our stretchers. Price: Cost, is, of course, an important consideration when purchasing any piece of kit, so in this review, we’ll offer our suggestion for best value so you can spend less on gear and more on your next trip. With these characteristics in mind, we’ll now move into our individual product reviews, where we’ll offer our praise and criticisms for each model in our review to help you choose the stretcher that’s right for you. This great stretcher bed takes the top pick award for our review. 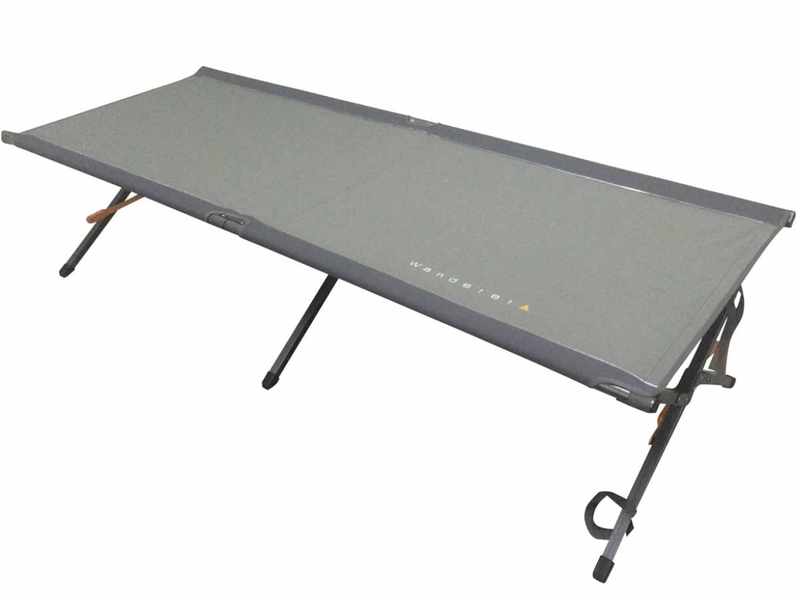 Easy to assemble with a durable cross leg design, the Oztent King Goanna boasts that it is the only fully padded cross leg stretcher on the market, making it comfortable enough to use with or without a mattress. It has a fantastic and easy to use folding assembly design and comes with a durable carry bag, making it a dream for both use and transport. It is a bit heavy for a stretcher without a mattress, but it is very strong with its maximum weight capacity of 150kg; however, it is rather narrow at only 80cm wide, which is important to consider for those who like a lot of wiggle room at night. The Oztent King Goanna even comes with a fantastic five-year manufacturer’s warranty so you can rest assured that you’ll enjoy this stretcher for many adventures to come. Another top contender, the Wanderer Premium Ultra Comfort narrowly missed the top spot because of price: at $219.00, this stretcher is the most expensive product in our review. However, the Premium Ultra Comfort’s fantastic design is easily worth the extra money, especially for those campers who like a little bit of luxury. With more padding than any other stretcher in this review, you certainly won’t need an extra mattress with this one. Additionally, with an adjustable back, allowing you to sit upright or lie flat, and adjustable legs to help you get the bed perfectly flat on uneven terrain, you’re sure to have a great night’s sleep in the Premium Ultra Comfort. Our main concern with this stretcher, besides price, is that it is the heaviest product in our review and does not come with a carry case for transport. We think the extra hassle is worth it, though, especially for a great night’s sleep. The lightest stretcher in our review, the Wander Premium Camper-X leg is a light-weight, but incredibly durable option with an easy, fold-out assembly and a cross leg design.Simple, but comfortable, the Premium Camper X-Leg can be used with or without a mattress on its water-resistant polyester bed. While strong, our biggest concern with this stretcher is its narrow width – at 79cm, it could be too narrow for some users. But, at only $159.00, this 8.54kg stretcher is our pick for best value and a great lightweight alternative for campers. With a simple, foldaway design, the Wander Spring Folding Mattress Stretcher involves perhaps the least assembly out of all the options on this list. 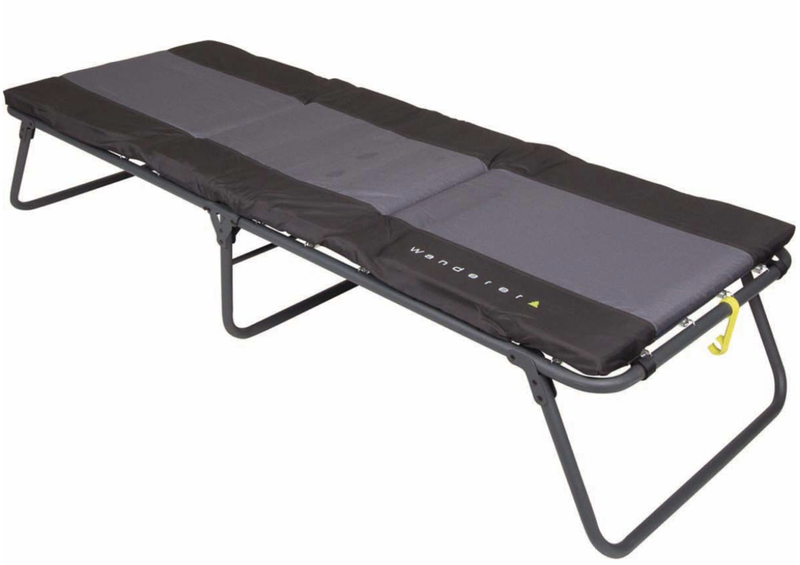 This stretcher’s best feature is its super comfortable mattress with spring suspension: with an integrated 45mm foam top mattress, you’re sure to get a good night’s sleep on this stretcher. Our biggest concerns with this stretcher are its design (the foldaway isn’t nearly as sturdy as the cross leg design) and its low maximum holding weight – at 110kg, it has the lowest weight rating of any mattress in our review. 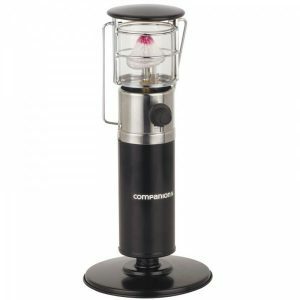 However, it’s a great option for kids and smaller adults as the full set-up tips the scales at only 9.95kg and it’s easy to set-up and use. A simple and sturdy design, the Darche xL100 Stretcher is a breeze to assemble and is very stable when getting in and out of bed. The lack of bells and whistles in this design are what brings it to the bottom of our list; however, it is a great stretcher and its simplicity might be valued by many campers. This stretcher doesn’t include a mattress, though is still comfortable to sleep on as is. Additionally, it comes with a nice carry bag and is only 10kg for ease of transport. 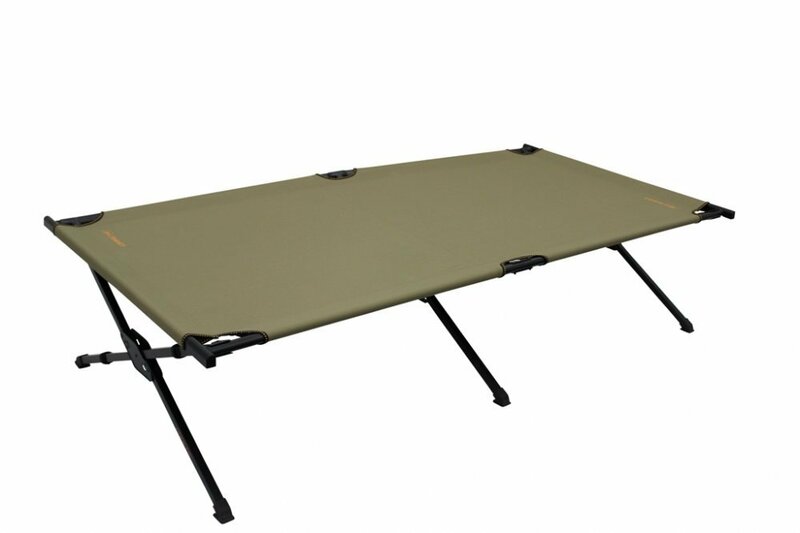 A strong stretcher with a maximum hold weight of 150kg and a width of 100cm, this is a great option for adult campers on a budget who want simplicity, lots of space, and the option to customise the stretcher with their own mattress.